The durable wheels glide smoothly, making it easy to navigate busy airports. View larger. 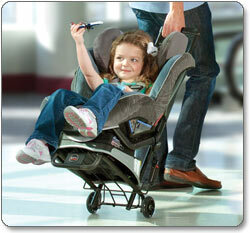 Ideal for travel, the BRITAX CAR SEAT TRAVEL CART makes it easy to transport children in a car seat. 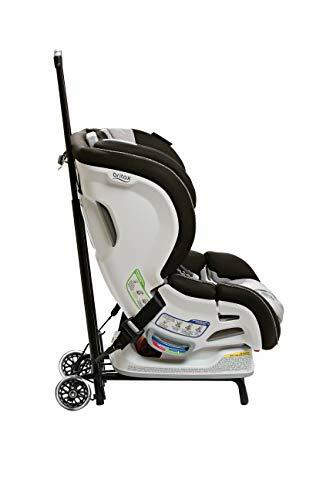 You can use LATCH connectors to quickly secure the car seat to the travel cart so you can safely tow your child. 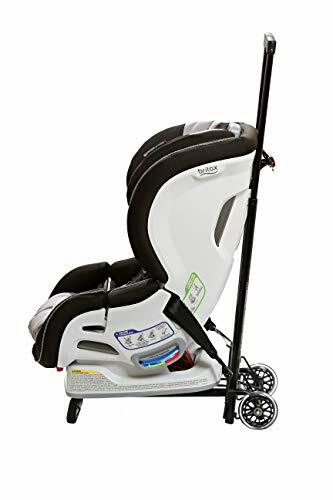 The CAR SEAT TRAVEL CART is compatible with all BRITAX convertible and harnessed booster car seats as well as with most other major brand car seats with LATCH connectors. Featuring a steel frame design for strength, the CAR SEAT TRAVEL CART offers a raised platform so your child's cart seat does not touch the ground. A one-hand, telescopic handle can be easily adjusted to two positions so you can customize it to suit your height. 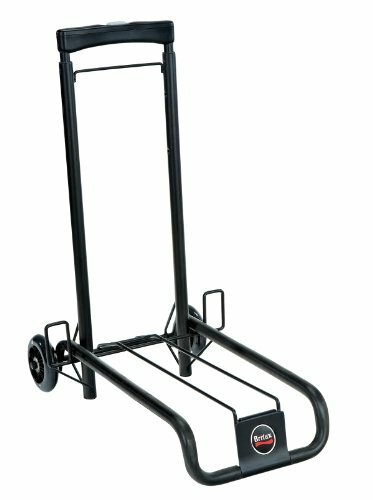 The durable wheels glide smoothly, making it easy to navigate busy airports. 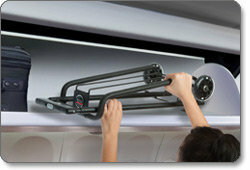 The TRAVEL CART folds compactly and fits in the overhead bins of most airplanes. There's no assembly or breakdown required so you can quickly unfold it upon arrival at your destination. BRITAX CAR SEAT TRAVEL CART and instruction manual.